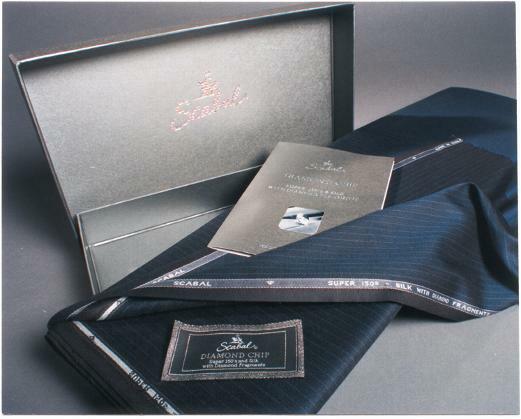 Savile Row of London Suit Fabric Material Collection by Scabal, available direct to customers by mail order all over the world. 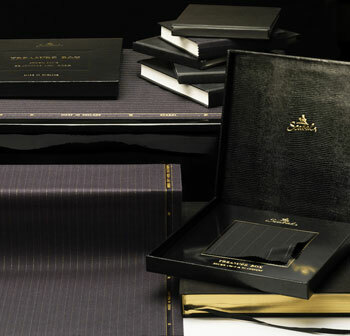 Savile Row & Scabal, Simply The Highest Quality Suit Fabrics. 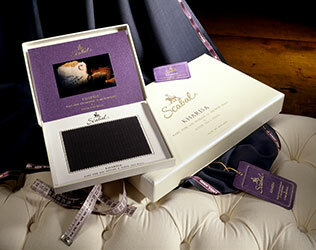 Scabal Treasure Box Suit Fabrics, Savile Row of London. Ideal Gifts For Friend, Family and Work Colleagues. 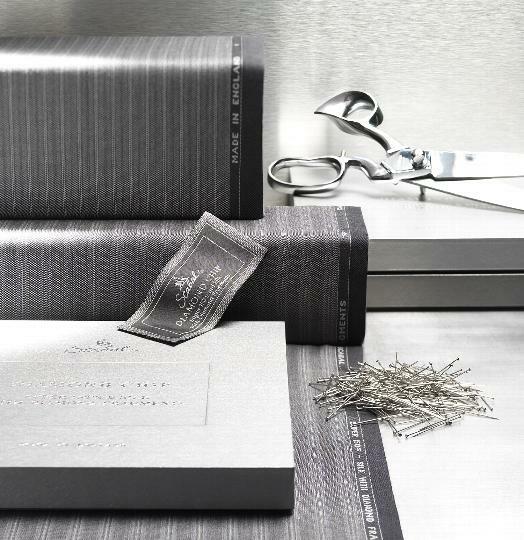 Scabal Diamond Chip Suit Fabrics, Savile Row of London. Comes With Gift Presentation Box. 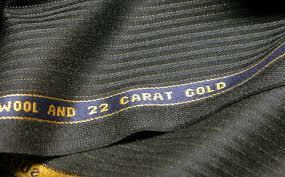 Scabal 22ct Gold Treasure Suit Fabrics, Savile Row of London. Comes With Gold Treasure Gift Presentation Box. Are you finding it hard to source the highest quality suit fabrics for your bespoke tailor to make? 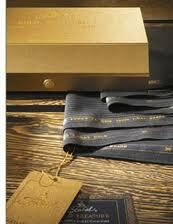 Do you want the most un-usual designs and luxury fabrics only availible direct from Savile Row of London ? Would you like to have real fabric sample sent to you before purchase ? Well we can help you out and if you are not located in England, dont worry we offer mail order service for out clients from all over the world. 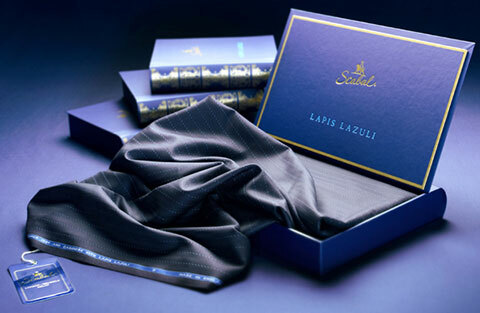 From the highest quality suit fabrics availble from Scabal of Savile Row of London. Yorkshire made worsted fabrics for heavy duty work wear. Country tweed from Scotland and Ireland. From the Isle Of Harris tweed, Donagal tweed, country cheviot tweed. Ideal for shooting wear or country outdoor wear. Lightweight suit fabrics for spring & summer wear, from the linen, silk and lightweight super fine woolen material. Heavyweight worsted fabrics for autumn & winter wear, from heavy weight worsted woolen material to the heightweight tweed suit fabrics. Mohair and Tonic suit fabric material inspired from the 1960's mod movment. Special offer fabrics if working to a budget for maybe work wear or student use for college or university projects. We have been selling suit fabrics materials to the general public and trade for over 38 years and have recently found successful world wide sales due our popular website. We regular post suit fabric material to countrys all over Europe, United States of America and the Far East. James & Michael wearing the English bespoke Scabal suit fabric collection. James is in a medium weight Yorkshire worsted and Michael is in a Scabal super 120's fine wool.